The oldest known use of mock meat can be found in — primarily vegetarian — Buddhist cuisine. To serve meat in keeping with the general Buddhist principle of ahimsa (non-violence), Buddhist chefs had to become creative in imitating the real deal. Techniques using wheat gluten, soy, agar and other plant products to create mock meat are several centuries old, and today, the chefs at NYC’s Buddha Bodai are still applying ancient recipes in their kitchen. There’s no beef, poultry, pork or fish in the back of the house; but lobster, ribs, steak, chicken and duck still make Buddha's menu. Vegetarians and carnivores alike can have their meat and eat it too. 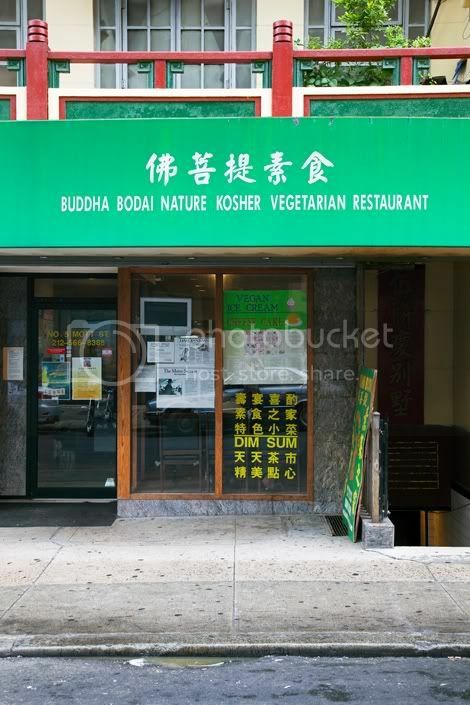 What makes Buddha Bodai and other restaurants serving Buddhist cuisine sustainable? They don’t purchase or cook with meat! Producing animal-based food is typically much less efficient than the harvesting of grains, vegetables, legumes, seeds and fruits. And worse, animal emissions contribute to global warming. Yes, I’m talking about cow farts. Sounds ridiculous but it’s true! Imagine all of the hundreds of thousands of farts escaping from the cows stuffed together on just one factory farm, let alone every factory farm in the world. That’s one big, environmental stink bomb. 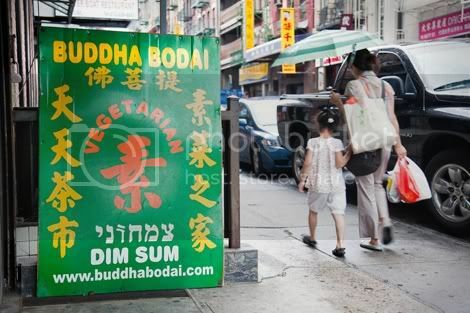 To learn more about Buddha Bodai, visit online at ChinatownVegetarian.com, or in person at 5 Mott Street, NYC.